Located outside of the mediaeval walled town of Óbidos, this hotel offers the comforts of home combined with modern facilities. Blending contemporary and old architecture, with the façade resembling a medieval castle, Sample dishes from the weekly buffet or opt for a traditional meal. The lobby bar is the ideal spot to enjoy a lunch snack or refreshing drink. Set in Óbidos historic town centre, in a beautifully restored building dating from the 18th century, this charming guest house offers guests good value for money. 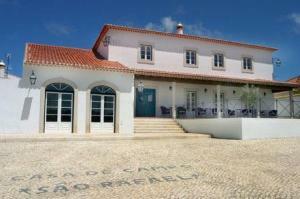 Ideal if you are looking for a tranquil getaway, Casa do Relógio boasts its original exterior. Relax in front of the open fireplace or marvel at the view from the large common terrace. A traditional breakfast can be enjoyed every morning in the dining area or the comfort of your room. Built from a classified 14th century municipal house, this small hotel is excellently located for a walk around this quaint castle town. The property is exquisitely decorated in a medieval style with suits of armour, tapestries, iron furniture and dark woods. The rooms are elegant and sumptuous, inviting you into a truly relaxing and private stay. The outside terrace has an incredible panoramic view of the castle walls, the valley below and the sea in the far distance. 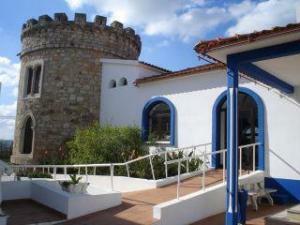 Hotel Casa de Campo Sao Rafael is a beautiful country house with a wonderful view of the Obidos village and its castle. The property has 6 rooms with bathroom in the main house, and 4 apartments (T1). There is a swimming pool, private parking, a children's playground and a game room.